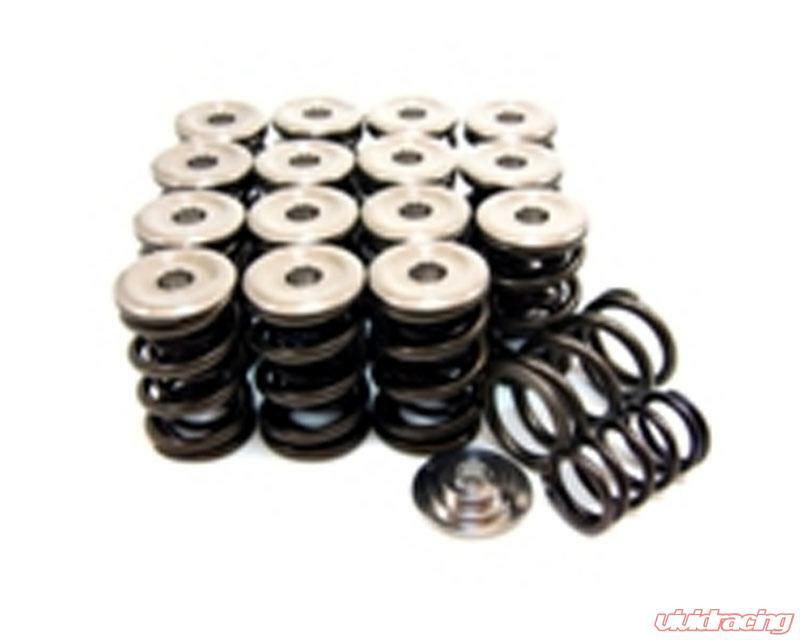 GSC Dual spring set and Ti retainer for the Honda B-series Vtec platform. Made from the same high quality AS50 wire as our Beehive Kits and utilize a nano peened finishing process to allow for the lowest possible fatigue loss rate of any other dual spring set available for the B-series. Our springs will work with the factory seat so no need to remove the seal and replace the seat when upgrading your valvetrain just drop them in using our new CNC machined 6Al-4V Titanium retainer on the factory seat and off you go. The retainer can be used with OEM valve keepers/lock or any of the aftermarket OEM replacement keepers/locks available. With a seat pressure of 90lbs you can take these springs as high as 10500 rpms without issue using one of our T1 or N2 profiles. These are specially designed to use with our Turbo style Camshafts with as much of 40psi of boost without valve flutter or bounce.